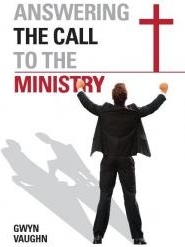 Pastor Vaughn's 2nd Book is on sale now, "Answering The Call to Ministry." This is a great book for anyone who senses the call of God on their life. This book is an incredible resource filled with wisdom from Pastor Vaughn's life in ministry for over 50 years. Contact us if you are interested in purchasing this amazing book.